Eveline Florence Harris was born on 5 Mar 1889 in Longford, Tasmania and died on 6 Jun 1973 in Tasmania at age 84. Eveline married Arthur Norman Donald, son of William James Donald and Clara Coote, on 16 Aug 1905 in Home of Mr Taylor, Longford, Tasmania. Arthur was born on 14 Mar 1883 in Westbury, Tasmania and died on 16 Apr 1942 in Westbury, Tasmania at age 59. 4-Allan Lindsay Donald was born on 1 Jun 1906 in Exton, Tasmania. 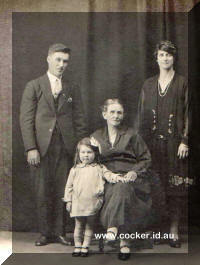 4-Arthur Alfred William Donald was born on 17 Dec 1907 and died on 10 Aug 1967 in Carrick, Tasmania at age 59. Arthur married Walker. 4-Florence Annie Donald was born on 26 Dec 1909 in Pateena, Tasmania and died on 7 May 1993 in Launceston, Tasmania at age 83. Florence married Royce Albert Hughes, son of George William Hughes and Olive Louisa Youl. Royce was born on 23 Feb 1913 in the Queen Victoria Maternity Hospital, Launceston and died on 12 Mar 1983 in Launceston, Tasmania at age 70. 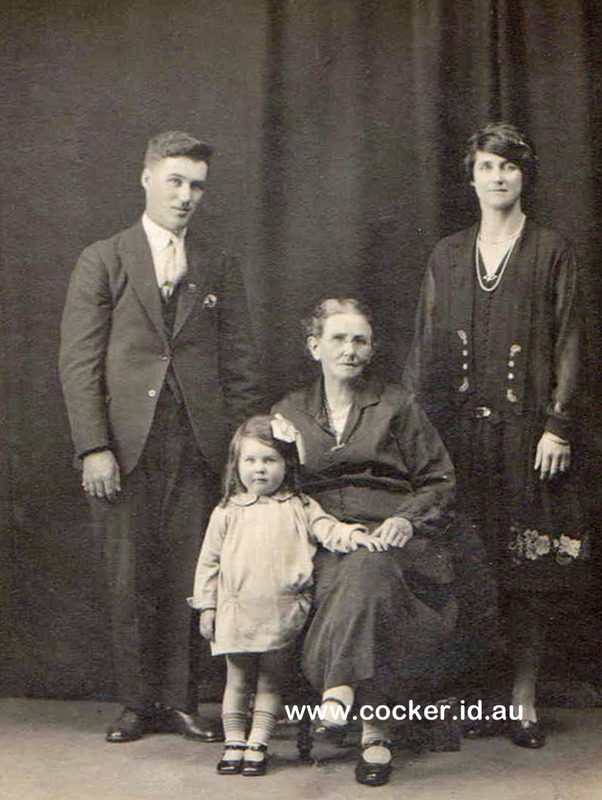 4-Gladys Hilda Donald was born on 4 Sep 1911 in Westbury, Tasmania. 4-Ivy Lillian Donald was born on 28 Mar 1913 in Exton, Tasmania and died on 14 Feb 2003 in Launceston, Tasmania at age 89. Ivy married Arthur James (Mick) French, son of Christopher James French and Ada Florence Hall. Arthur was born on 11 Nov 1916 in Whitemore, Tasmania and died on 20 Sep 1977 at age 60. 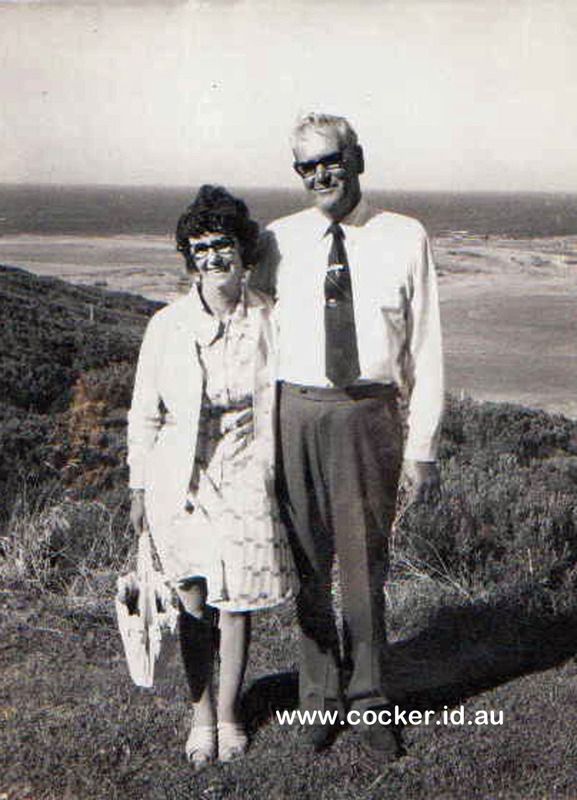 4-Raymond George Donald was born on 1 Nov 1914 in Whitemore, Tasmania. 4-Beryl Amy Donald was born on 28 Jan 1916 in Westbury, Tasmania, died on 8 Jun 1987 at age 71, and was buried in Carrick, Tasmania. Beryl married Louis Hawke, son of James Arthur Hawke and Susie Dadson. Louis was born on 2 Feb 1915, died in 1978 in Launceston, Tasmania at age 63, and was buried in Carrick, Tasmania. They had four children, three girls. 4-Ernest James Donald was born on 10 May 1917 in Westbury, Tasmania and died of injuries on 5 Feb 1944 in the Atherton Army Hospital, Queensland at age 26. 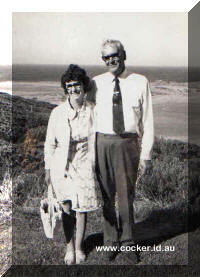 4-Winifred Donald was born on 14 Jul 1918 in Westbury, Tasmania.